L auded as a “compelling” (Washington Post) and “first-rate” (American Record Guide) artist, Jennifer Blyth’s performing schedule has taken her to twenty-three states throughout the U.S. Internationally she has also appeared as a concerto soloist and recitalist (solo and chamber) in Russia, South Africa, Canada, England, France, Iceland, Germany, Spain, Italy and Australia. Blyth has given lectures, masterclasses, open lessons and participated in residencies across four continents and has performed at venues such as Weill Recital Hall, Jordan Hall, Boston; Chicago Art Institute, Corcoran Gallery, Bang on a Can Series, Rachmaninoff Hall, Moscow; Constellation, Chicago; Kilbourn Hall, Rochester; the World Financial Center, Smith Memorial Hall, Urbana-Champaign; and Steinway Hall, New York. She has performed with David Kim (concertmaster Philadelphia Orchestra), Jack Sutte (trumpet, Cleveland Orchestra), Jeffery Zeigler (Kronos Quartet), John Richards (JACK Quartet), Robert Martin (Bard Music Festival) Awadagin Pratt, Barry Snyder, and groups such as Alarm Will Sound, the Ying String Quartet, the Corigliano String Quartet, the Amernet String Quartet, the Lydian String Quartet, Verge Ensemble, MAVerick Ensemble, the Munich Chamber Orchestra and members of the Australian Chamber Orchestra. Blyth maintains working relationships with many living composers and has collaborated with Augusta Read Thomas, Carter Pann, Kevin Putz, Pat Long, Robert Pound, Marc Pollard, Libby Larsen, Joan Tower, Ralf Gawlick, Gerald Shapiro, Frederic Rzewski, Stefan Freund and Shulamit Ran. Dedicated to programming adventurous contemporary works alongside established repertoire, Blyth has premiered over thirty new compositions including pieces commissioned by Timaeus Ensemble and the Helding/Blyth Duo . Recognized for innovative programming, Blyth’s performances have been broadcast on National Public Radio, Canadian Broadcasting Commission, Australian Broadcasting Commission National Radio, Icelandic National Radio, 1Africa Radio and the Australian Broadcasting Commission Television Network. She has also recently recorded on the Musica Omnia label. Her principal teachers include Stephanie Coleman and John Roberts of the Conservatorium of Western Australia and Barry Snyder of Eastman School of Music where she also taught for four years as his assistant. She completed her Master’s degree and Doctorate majoring in Performance and Literature at Eastman and was also awarded the prestigious Performer’s Certificate. 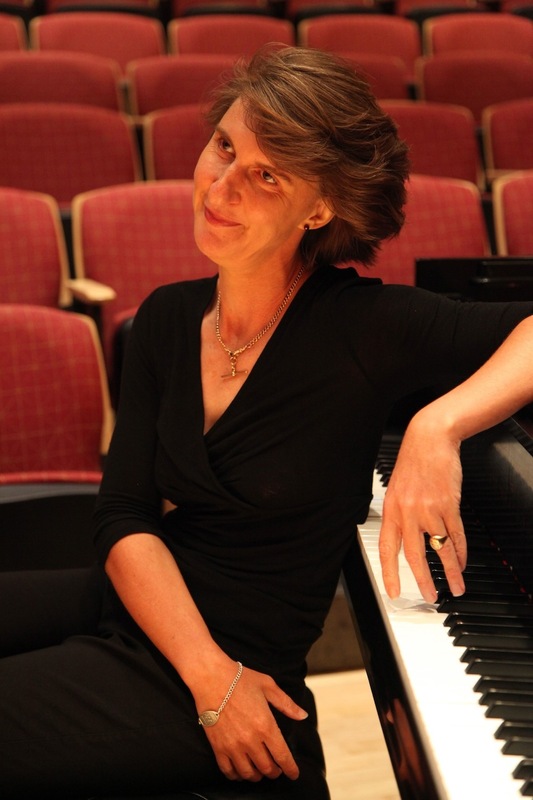 Blyth is currently Professor of Music at Dickinson College, and lives in Carlisle, PA with her husband and two children. For more information visit jenniferblyth.com.